I love the knitted mugs! Brilliant idea. So many great patterns and textures! Thank you for sharing! I love the knitted mug holders. What a great idea, a reuseable cup holder. I can imagine drinking a hot cup of coco. 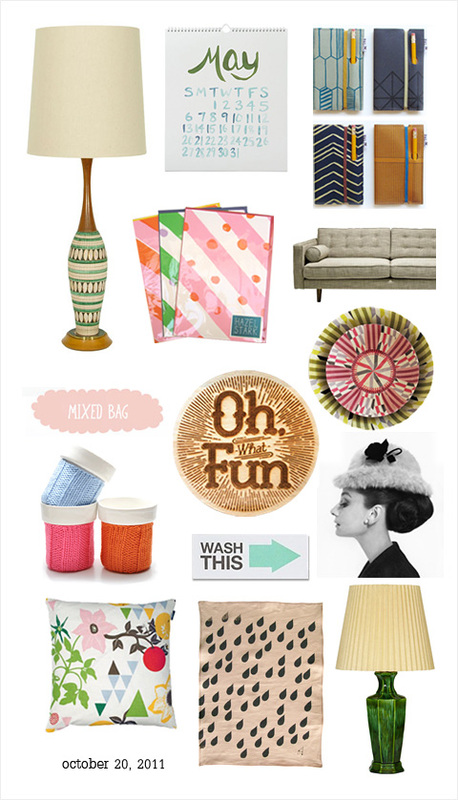 Thanks so much for including my lamps! Each of these pieces are beautiful. I especially love the notebooks, bowls & cushion! p.s. Thanks, Victoria for the Mod Pieces love! You have a wonderful blog, so full of inspiration. Thank you for sharing! Ooh, I need that Mod Pieces table lamp! Really cool items, love the calendar it looks great. love the calendar it looks great.